Ohio based floral designer Patricia Campos began her creative career as a graphic designer. It wasn’t long until the floral world worked its way into her heart, and now she runs a floral design studio in Cincinnati, Una Floral. With a love of muted colors and delicate greenery, her work is textural, thoughtful and artistic. 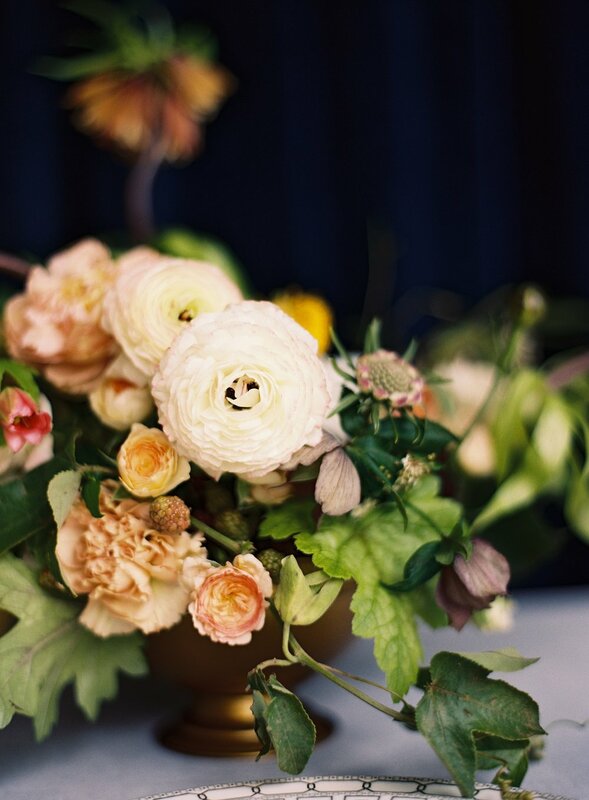 Patricia’s floral journey began shortly before we met her at the 2015 Team Flower Workshop in Asheville, NC. Today she has established her style and is currently working towards merging her two creative loves: graphic design + flowers. Where was Una Floral you when you attended the Team Flower Workshop? How has Una Floral grown since then? What would you tell someone who is on the fence considering joining a Team Flower Workshop? Describe a few of the essential items you learned at the Team Flower Workshop that you have implemented into Una Floral. Follow along Patricia’s continuing story on Instagram. To learn more about this year’s workshop opportunities, click here. Patricia Duque Campos is a graphic designer-turned-floral designer with a love of muted colors and delicate greenery. Her work is textural, thoughtful and artistic. She is based in Cincinnati, OH and is available for weddings and special events. Team Flower member since 2015.